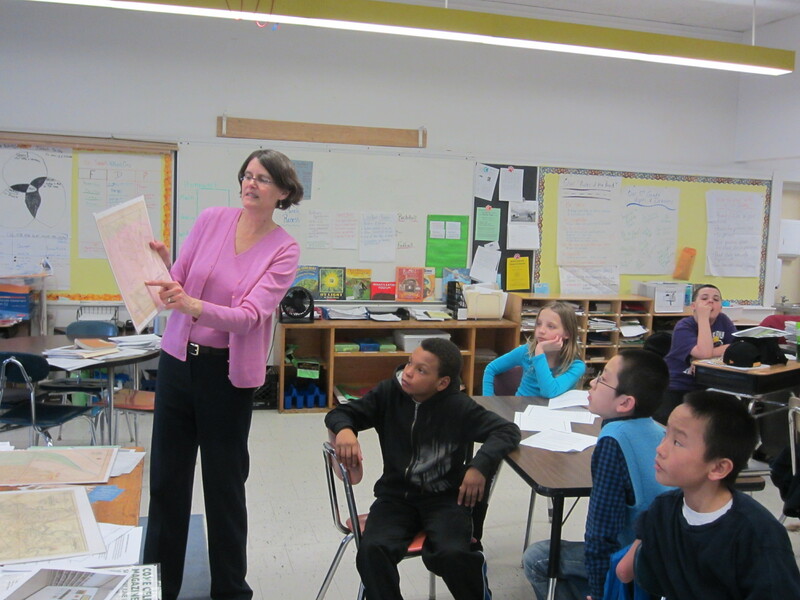 Last Monday, as a “park expert,” I presented our project to 5th graders in Sarah Baszto’s class at the Cambridgeport School. As part of an expeditionary learning project, the students are studying the nearby Sennott Park (on Broadway, next to the Area IV Youth Center), an 1811 cemetery that was later transformed into a park by the Olmsteds. The students were eager to hear about our park and many of them knew it well. I talked with them about how we have used history to inform our efforts; gathered input via surveys and interviews; and created exhibits, a blog and a Facebook page to generate interest. I also spoke with them about how now we’re raising funds to make park improvements. Over the next weeks the students will be preparing projects and reports. It’ll be fun to see where they take Sennott Park! – It is fun working with a trained professional. – It was fun learning from her. – She was very nice to volunteer here and at Magazine Beach. – You can always find ways to help more! – She has a great passion for what she does. – I think it’s great to be able to have a connection with a park. – The talk was interesting. – It was fun to learn history with her. – The Magazine Beach project is a lot like ours. – It’s fun learning the history of Magazine Beach.